Jeff DesRoche kept working on his new company Pegasus BMX. 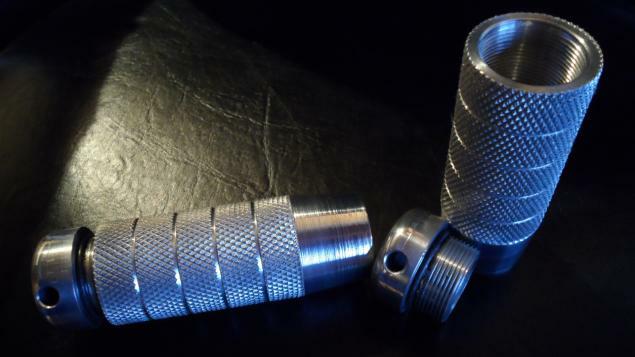 The Silver Bullet Pegs are now available. They were designed by Dez Maarsen who recently joined the team: "Pegasus BMX is proud to welcome the Dutch shredder Dez Maarsen to the team. Dez is one of the top flatland riders at this moment. He possess all round flatland skills, from technical front wheel switches to single bangers. With a big bag of signature tricks he's been pushing his riding with smooth pivoting tricks combined with an amazing flow. His passion for flatland is big and he always wants to promote flatland in the best way he can. As we are both driven to push flatland we're stoked to collaborate to develop new product! Starting with Dez' first signature product, the .45 Bullet Peg."